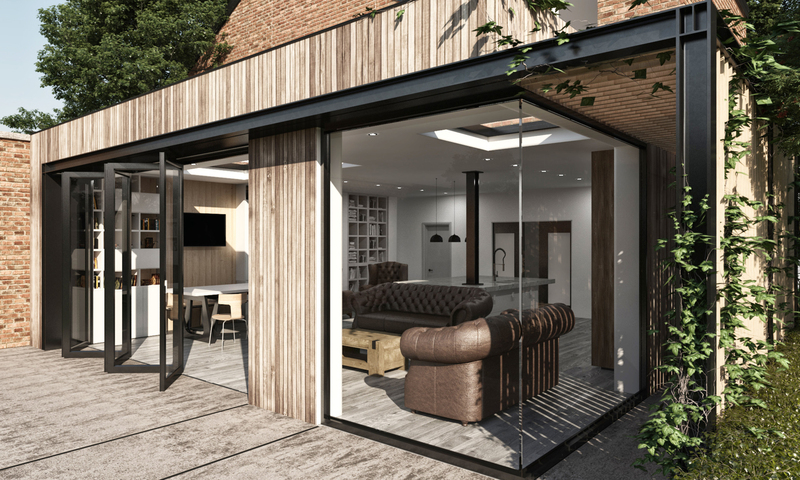 Greatspace were approached to design an extension for a Victorian home in Peterborough. 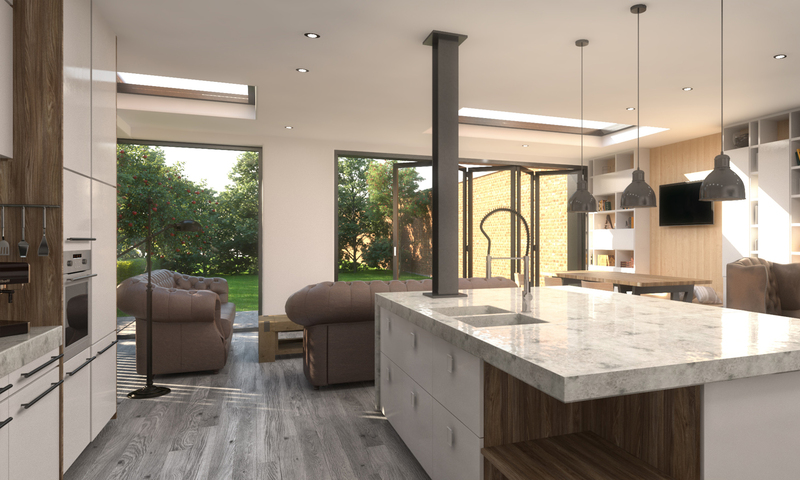 The clients asked for a spacious open plan kitchen dining area with a connection to their garden. 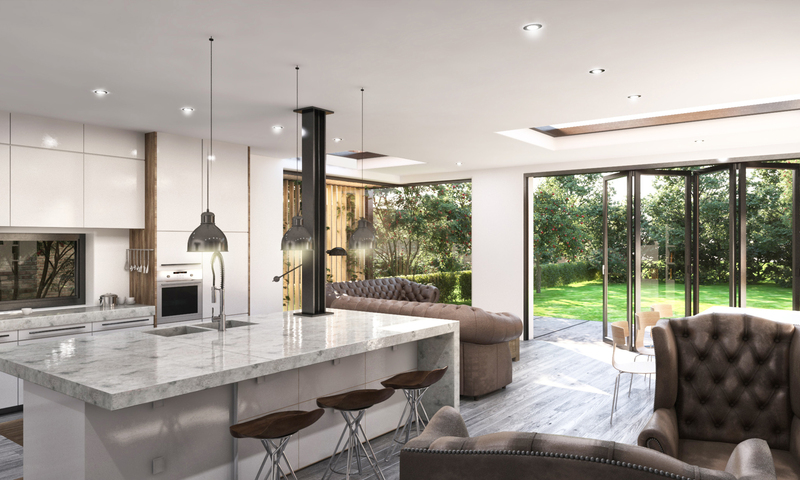 The scheme features timber cladding, a sedum roof, bi-fold doors and corner glazing unit. The floating canter-lever is achieved by the ‘goal-post’ external blackened steel support, which continues on to provide a timber slatted privacy screen. 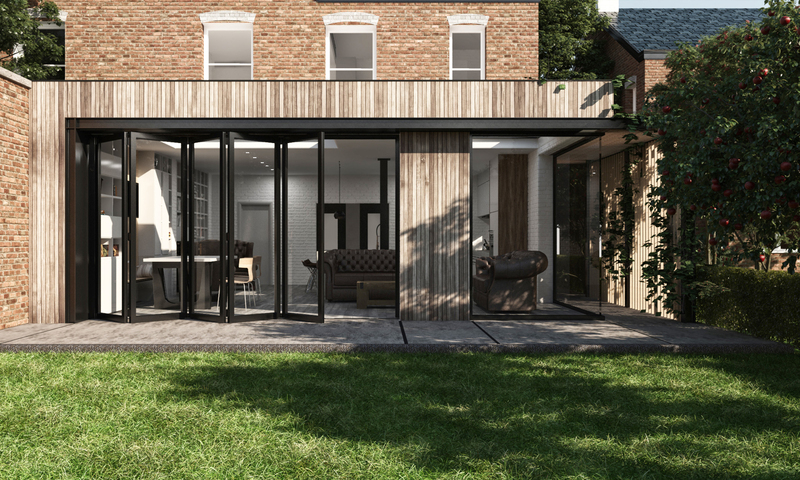 The extension flooring continues outside, making the room even bigger when the bi-folds are open and perfect for dining outside in the summer months.